SmartUps, the Eugene Area Chamber of Commerce’s entrepreneurial support group, took its show on the road to the UO recently, partnering with UO’s Research, Innovation & Graduate Education to offer a workshop specifically tailored to faculty members and graduate students/post docs. 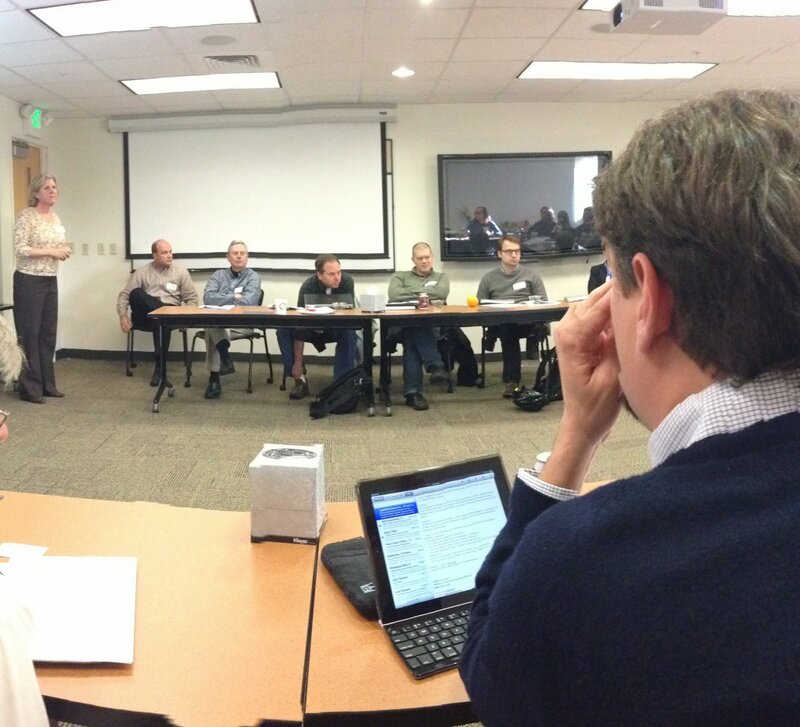 About 20 interested researchers showed up for the inaugural program, dubbed UO Day One, held on Jan. 10-11. Learn what it takes to successfully transfer research into a startup company. Meet business leaders who have launched successful university-based startup companies. Find answers to common questions about launching a new business. Hear about additional resources to help pursue an entrepreneurial venture. The workshop included a networking event/reception at the Davis Restaurant on opening night in which participants introduced themselves and sharpened their “elevator pitches.” The workshop continued the next day, drawing center directors, graduate students/post docs and professors, some of whom have already launched their own university spinouts. The list of presenters included staff members from Technology Transfer Services, UO Vice President for Research and Innovation Kimberly Andrews Espy, ONAMI Entrepreneur in Residence Augie Sick, Endeavor Law Group and JJ O’Connell, director of entrepreneurial development at the Eugene Area Chamber of Commerce.